SAN ANTONIO, Texas – These days, if a luxury carmaker wishes to survive, it must excel. With mainstream brands like Hyundai, Kia and even Toyota constantly upping their game in terms of sophistication and technology, the pressure to innovate for premium nameplates has never been so high. Mercedes-Benz is particularly sensitive to this pressure since its “raison d’être” is technological progress, exquisite luxury and exclusivity. That’s not an easy task to pull off, considering its direct German competitors Audi, BMW and Porsche aren’t far behind with excellent products of their own. We can observe then, that with its 2020 GLE—scheduled to arrive in showrooms next summer—Mercedes-Benz has given its all to let it shine. The end result is nothing short of excellent. 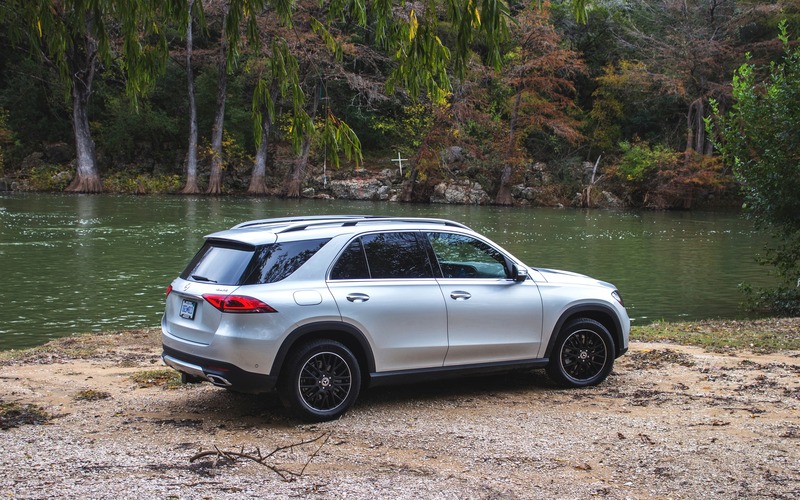 The GLE sits in the midsize luxury SUV segment where it primarily rivals vehicles like the Audi Q7, the BMW X5, the Porsche Cayenne, the Range Rover Sport and the Volvo XC90. It’s a tough crowd, but none of these solid players intimidate the GLE, since it currently outsells them all. 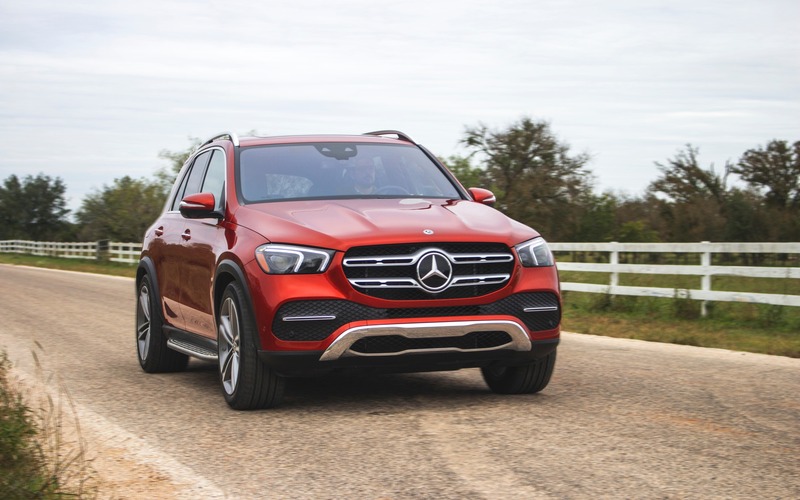 Since the beginning of 2018, Mercedes-Benz has pushed 6571 examples of the thing to Canadian consumers, making it a more desirable SUV than an Audi Q7 (3957 sold) or even a BMW X5 (4984 sold), even if the GLE has been long due for an update. For its fourth generation, Mercedes-Benz reinvents its people hauler from the ground up. It now sits on the brand’s all-new Modular High Architecture, and powered by two new engines. Taking lessons from its big sister the S-Class, this new GLE pushes the limits of technology in order to excel consumer expectations. Two versions will be offered when it arrives; the GLE 350, powered for the first time by a 2.0-litre turbocharged four, good for 255 horsepower and 273 lb.-ft. of torque. The second is the GLE 450 which comes with an all-new 3.0-litre, twin-turbo inline six coupled to a 48-volt mild hybrid system. Total power output is claimed at 362 horsepower and 369 lb.-ft. of torque. As it’s always been the case since the very first ML from 1997, 4MATIC all-wheel drive comes standard. Both AMG GLE 53 and GLE 63 versions will be added to the lineup sometime in 2019. Among the plethora of technological advancements found in the Mercedes- Benz 2020 GLE, there’s an innovative adjustable suspension the brand calls E-Active Body Control. Granted, we’ve seen these things before, but the GLE’s system goes one step further by independently adjusting the ride height of each wheel. There’s even a gimmicky drive mode which causes the vehicle to bounce up and down. And of course, as is typical with German engineering, it actually has a purpose, proving to be more effective at getting a vehicle out of snow or deep sand than traditional off-road modes that are solely managed by the antilock braking system and/or differentials. When set to Sport mode, the GLE squats down, allowing it to exhibit rather impressive cornering abilities. The trick suspension will even tilt in the bends, kind of like a pro skier, giving way to a smooth, seamless ride at high speeds. On the road, no matter which version you drive, the GLE boasts a quiet and highly comfortable cabin. The front seats, with a massaging function and developed with the help of a physiotherapist, are among some of the most voluptuous we’ve sampled in a modern automobile. And that rear seat offers plenty of leg and head clearance for tall passengers. Because the new MHA platform is 8 cm longer than its predecessor, a third-row seat is now available. Such a feature significantly ups the GLE’s practicality factor, especially for families, but that bench is snug and should best be reserved for children. We were however impressed by the four-cylinder engine, which gives the GLE more than satisfactory acceleration and a lofty amount of low-end torque, perfect for passing manoeuvres. Unfortunately, as is the case in other applications, that four-pot doesn’t sound all that thrilling, especially when idling where you’d swear it was a diesel. And while we have no gripes with the eight-speed automatic once it’s coupled to the six cylinder, we were disappointed by its awkward kickdown jerks and annoying delays when associated with the small engine. Of course, the GLE 450 is where the true magic happens, and Mercedes-Benz understands this as it will count for the majority of GLE sales. That straight-six engine is smooth, offers more than ample available power and torque, and doesn’t sound all that bad too. Add to that a solid construction and a chassis that encourages spirited driving, and you end up with a stellar machine only the Germans could have conceptualized. Getting back on the tech, we could spend an entire day focusing on a single one. That’s how advanced the GLE is now. The darn thing will virtually drive itself in urban areas, but more even more impressive is the brand’s all-new MBUX infotainment system, which debuted in the A-Class. That’s because MBUX’s voice recognition system is AI-based, so it’s constantly listening to passengers. You speak to it not by pressing a button, but by the “Hey Mercedes” voice prompt. 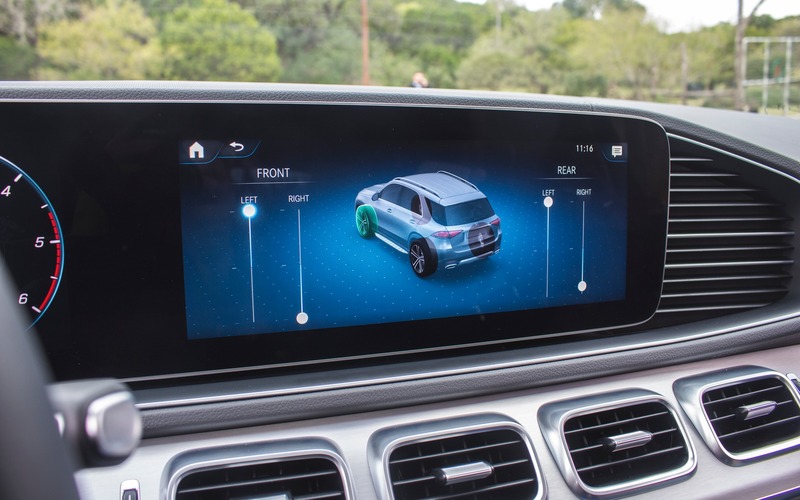 The system even discerns the voice of each passenger, allowing someone in the back seat to execute a command even when other people are talking, for example. What’s more, MBUX’s interface is attractive, clear, easy to comprehend, and the screen it’s housed in is now entirely touch-sensitive. The old knob dial is out, but the touchpad has been greatly improved for better haptic feedback, and redundant physical controls allow quick access to media and navigation menus. We could carry on writing about the entirely digital dashboard which can be custom-tailored to the driver’s preference, or the car’s heartbeat monitor that synchronizes with a Fitbit watch, but I’d get hammered on the head by my editor for the length of this review. To sum it all up, while we’re disappointed to not see a fully electrified version for the 2020 Mercedes-Benz GLE, it nevertheless raises the bar as to what to expect from a luxury SUV. 7/10	The vehicles we drove were pre-production models and fuel economy numbers have not yet been released for our market. But we hung around the 10 L/100-km mark in a GLE 350. 9/10	A very spacious and comfortable cabin, but that third-row bench is snug for adults. 7/10	The six-cylinder engine makes things happen, quick enough and smooth. The four cylinder isn't too bad either. 10/10	MBUX is high tech, easy to grasp and the AI-based voice commands are seamless. 8/10	The GLE is a capable SUV that has no issue attacking a winding road. 8/10	Already dominating the segment in the sales war, this new generation, now more sophisticated and technologically advanced than ever, has suddenly become the benchmark in its class.